Vienna around the late 1800s and early 1900s was full of multitalented artists who spread their creative wings in various directions and endeavours (and presumably got away without doing the housework). One such individual was Koloman Moser. An exhibition at the MAK museum pays tribute to his genius. The year 1918 stole various artistic greats from Austria, including Schiele, Klimt, and Otto Wagner. 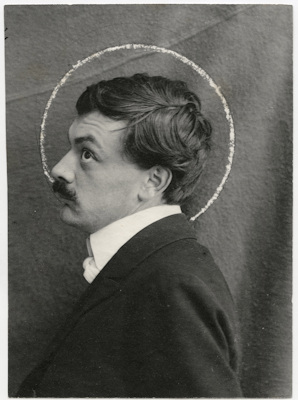 Another was Vienna-born Koloman Moser, cofounder of both the Secession artist group (1897) and the Wiener Werkstätte workshop community (1903) that had such a massive influence on design and production over the following decades. Moser’s creative fingers poked into numerous pies in the worlds of the graphic arts and design. Tableware, interior fittings, stamps, furniture, windows, posters, fashion, jewellery and much more all bore his name. As such, he played a critical role in the rejuvenation of Viennese art that gave birth to Jugendstil and Viennese Modernism. 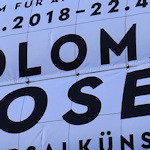 Subtitled “Universal Artist between Gustav Klimt and Josef Hoffmann”, the Koloman Moser exhibition at the MAK Museum of Applied Arts displays several hundred of his works, placing them in the context of that dynamic period of artistic change formed by the last decades of the Habsburg empire. Mostly drawn from the MAK’s own collection, many of the items are on public view for the first time. When people think of Vienna around 1900, they think of those artists that have gained widespread international recognition. A Klimt painting can fetch $150 million, a Moser painting a mere fraction of that. The MAK exhibition demonstrates why his name actually belongs on the same page of the big book of art and design history. The exhibition runs from Wednesday, December 19, 2018 to Monday, April 22, 2019. There is no extra fee for viewing the exhibition. Just get a normal entrance ticket on site or online* for the MAK museum (or you can go in for free with a Vienna Pass). The MAK opens Tuesday to Sunday, from 10 am to 6 pm (10 pm on Tuesday nights). The MAK is very good about providing information in English, and all labels and information posters for the Moser exhibition are bilingual. See the main MAK article for tips on public transport. If you’re walking around the Ring boulevard that’s home to many of Vienna’s iconic sights, you’ll bump into the museum to the southeast of the city centre, at one end of the Stadtpark city park.